After 49 years, Israel’s Broadcasting Authority (IBA), the country’s public broadcaster, is officially shut down. The Knesset, Israel’s parliament, decided to close down the IBA on grounds that it was too bureaucratic, expensive and had more employees that it needed. The IBA will be replaced with a new and more streamlined and efficient public broadcasting corporation. At the moment, the TV channels broadcast a holding template, while the eight radio stations broadcast non-stop music until further notice. IBA’s closure has been in the works for more than a year, but the end came suddenly. 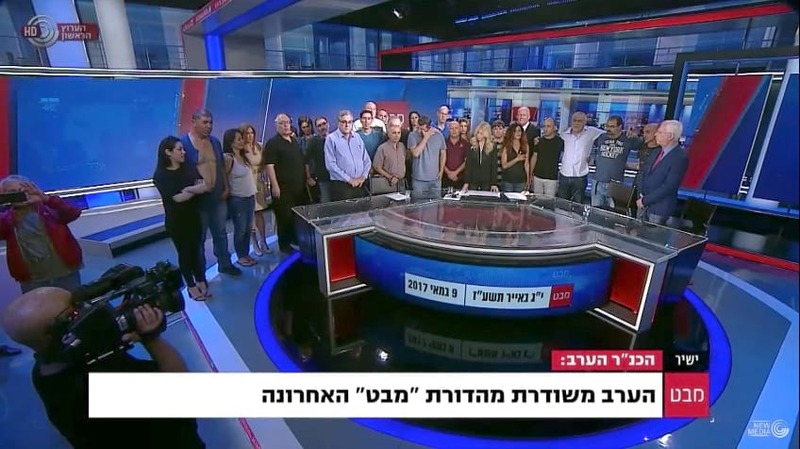 Mabat LaHadashot (A Glance at the News), the flagship evening newscast of the public broadcaster was on the air for 49 years, but staff were abruptly informed just before air time on Tuesday night that it would be their last show. A new broadcaster, IPBC (Israel Public Broadcasting Corporation), or Kan (Here) as it is called in Hebrew, is set to begin broadcasting on Monday, May 15. However, a total of 20 workers will remain on set in order to provide a smooth broadcast of the Eurovision Song Contest feed from Kyiv. As Israel has no commentator, the broadcast is accompanied by subtitles added on in Jerusalem. IBA’s radio station 88FM will broadcast the contest as well.